“Everyone is a leader”: this corporate meme often sounds like a false promise to manufacturing operators. Leadership courses end at shop floor managers, when they reach them. Operators are expected to fit into standard operating procedures, regardless of their individual skills or aspirations. Sixty years after W. Edwards Deming said why and how the shop floor should be involved in improving the system — not just running it — only a fraction of his teachings is being understood and applied by the manufacturing industry. Instead of cultivating the creativity, passion and engagement of operators, the average industrialist makes every effort to replace people by robots. Change management literature is overwhelmingly more targeted at knowledge workers than at shop floor technicians. Except for a few change practitioners, shop floor may be the blind spot of leadership. This is why I got so interested two years ago to hear about Bill Murray. 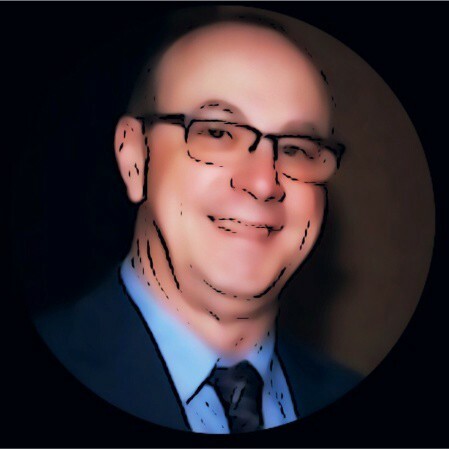 Not the actor, but someone worth knowing too :-) Bill is a manufacturing manager at our vaccine production plant in Swiftwater, PA. He oversees a team of a dozen operators working second shift (from midday to late at night) on a particular step in the production of vaccine against influenza. One of his team members, Luis Maldonado, praised what Bill did with his team, as being unusual and very successful: a system of work called “the Pillars”. Luis being one of the most engaged persons in our internal activist movement for improvement (for which he won the 2016 Employee Engagement North American Award, “Unsung Hero” category) he made me curious to understand what, how and why. Flu vaccine production is a complicated, very demanding manufacturing field. In this highly regulated industry, quality requirements are extreme: you just can’t afford to inject a bad vaccine in anyone. Despite automation, vaccine production still relies a lot on human intervention. Operators work long hours on the factory floor and sometimes — it’s human — make a small mistake here or there: miss a signature on some paperwork, forget to retrain in time on a certain process, etc. It happens to the best of us. But when it happens a lot, and it adds up to equipment failure or other issues, then it becomes a systemic problem with heavy consequences: delays, rework, expenses, write offs, stock out, disengagement, loss of customer and regulator confidence… The traditional set of answers, which have limited effects over time, include reward and punishment, education and control, more monitoring, further automation when possible. 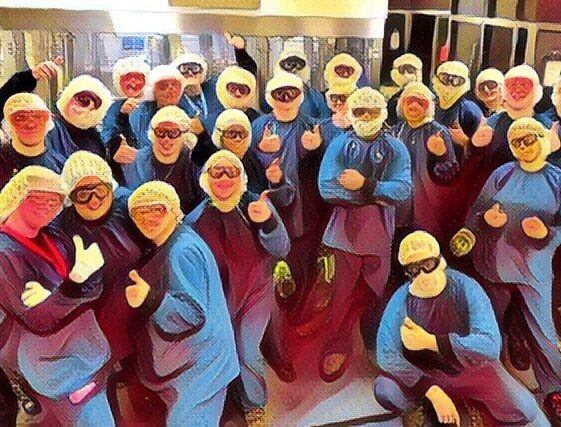 Very rarely do we see people innovation, a new leadership approach on the shop floor. That’s what Bill did. I’m glad he accepted to describe here what it is, and answer a few questions. I spent many weeks researching and reading articles on the owner vs renter mentality as well as what it means to be an A-player and how going slower will make you go faster… I then looked at all the areas that would contribute to human error deviations within my area of responsibility. I listed all the items and started breaking them up into Pillars. Each Pillar was given responsibility expectations for Pillar ownership. During our seasonal gap between hemisphere production I gathered that team together and reviewed the 3 key elements of the Pillar system (A-players, Ownership Mentality and Slower to go faster). As a group we spent several weeks reviewing and discussing these topics and how these behaviors would greatly contribute to the success of the area and help to reduce human error deviations. When the behavior discussions concluded I rolled out the Pillars and each Pillar’s ownership responsibility expectations. 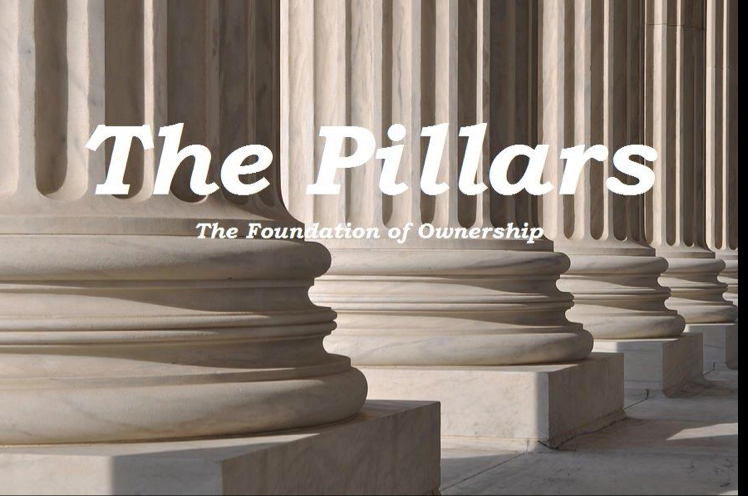 The mindset of the Pillars is that people need to choose what Pillar they’d take ownership of. Within this system we believe that if you drive the change and truly own the Pillars we can’t fail. Because we have multiple Pillar owners each owner needs to trust in the others but we always stress the Ronald Reagan quote: “trust but verify”. This is very important when looking to reduce human errors. To the Pillar owners ‘Trust but Verify’ means that even though someone has communicated to the group that they will ensure a task is completed the other owners will check this person anyway. What if the owner was on their way to complete the task and was sidetracked? The other owners assuming the task was completed and not checking could result in a missed opportunity and a possible deviation which we categorize as human error. By all Pillar owners always checking each other the opportunity for failure is greatly diminished. Teams at times will get caught up in who’s doing what and why aren’t they doing as much as I am. Within the Pillar system the team is focused on the ownership and what is needed for the success of the area. A-players will just get it done and not worry about who should have done it, this is a distraction and will only lead to the downfall of the team. A-players always do what’s best for the success of the team, area and process. The slower to go faster mindset is about picking the right speed for the task. Also if you’re experiencing an ongoing micro-stop issue that accumulates an hour of downtime over the course of the process run you would greatly reduce the equipment downtime by stopping to address the issue. A downtime occurrence of 20 minutes to fix an issue is better than 60 minutes accumulative downtime. When you treat your process as if you were the business owner you will make different choices than if you worked with a renter’s mentality. Owners always look to add value to a process while always working to improve. 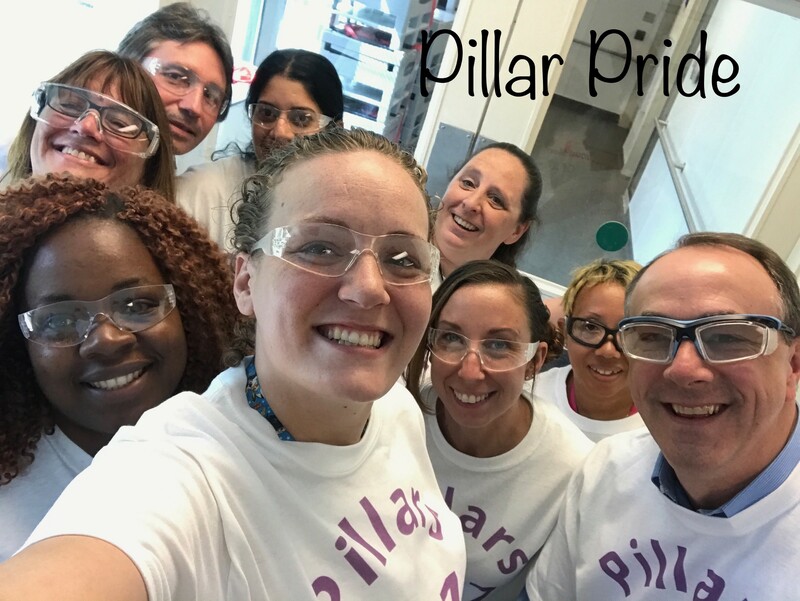 The Pillars were implemented in October of 2015 with the 2nd shift harvest team and through the dedication of the team while understanding the key elements of Pillar and personal success the 2nd shift harvest team has not had a single human error deviation in over 2 ½ years. For the start of the 2016 North Hemisphere campaign the 1st shift harvest team joined the Pillar system and over the course of 2 years has only had 1 human error deviation while our 3rd shift harvest team has gone 2 years without a human error deviation after adopting the Pillar system. The development of people is what makes the Pillar system successful. By developing each team member (the person plays the main role in their development) the area can only get better. Managers are the glue ensuring the system works… The manager needs to know and execute all of the key elements. [Celine] Why nobody before had come up with the Pillars? What is it they didn’t see or understand that you see and understand? [Bill] The golden circle as Simon Sinek describes they’re all about the what… I started with the why and that’s how I’ve always naturally communicated ideas… believe what I believe as Simon says :-) Why no one came up with this type of system before… everyone focused on doing business as usual and because we’ve always done it this way. [Celine] As you implemented the Pillars, did you experience resistance with some team members or other colleagues? What did you do? [Bill] As I rolled out the Pillars I started with behaviors and why we needed to be A-players, owners and slow down to go faster. Yes most of the team wasn’t onboard right away but as they stated in a question and answer session (I invite the team to all Pillar presentations to give a technician view point) it only took them 2 weeks to realize this works while making them better (this statement blew the managers away). Colleagues have been heard saying “Harvest is in the break room eating pizza celebrating 2 years without a human error deviation and my area has taken 2 this week!” I have always offered to teach the Pillar system to all interested. Over the past year I have given multiple Pillar presentations to entire buildings, processing areas, managers and Directors. I have offered to assist in the set-up and discussions required to get the system in place. Issues that I’ve seen is after I step away the WHAT takes over forgetting the WHY and it starts to breakup due to the mindset and behaviors not being in place. I’m finding as I present to groups that are interested in the Pillars they’re having a hard time with these methods and even during the discussions are looking to change the structure before rolling it out with their teams. Not seeing that the results of “no human error deviations” were due to the structure and relationships the people have. The trust and common vision. But it seems that everyone has to put their own spin on it. And with the addition of their individual spin they’re not seeing the same results. They’re only seeing structure and tweaks to the structure to drive the results they want forgetting the relationships with people (the most important piece of the successful results). I’ve got to figure out how to open people’s eyes to the relationships piece of this change. Quite often, the managers don’t get it right away. They’re actually the only group that struggles with this process. The operators get right away, and they get it every time. Some managers can’t wrap their heads around building trust, putting people in their sweet spots (what they’re good at), developing the relationships and building a sense of pride. They’re struggling with the balance required between manager and leader (they need to be both). [Celine] Do you have some general considerations about leadership on the shop floor? Why do we rarely associate those 2 words? Is there room for leadership on the shop floor? [Bill] A leader should look after the team in every way. The leader should be the example while providing everything the team requires for success. The leader also needs to understand that the team must feel safe enough to express ideas and be able to voice opposing opinions without the fear of negative consequences. Owners have the right to express their thoughts and ideas for the betterment of the process and team. The leader should always be available while ensuring everyone is developing to their full potential. I just need to add one more thing… Unlike all hierarchy and holacracy I expect all team members to challenge me daily… fight for what they feel is the best for the process and the team. Through these disagreements or discussions the best ideas have to win. Leaders need to drop their big egos and empower their teams to drive results and take ownership. [Celine] You are a regular contributor to our large Yammer group (‘Quality Mindset’), you have created a Yammer group for your team. Is it important for the Pillars? Just a few days ago, as I was browsing through Bill’s team Yammer group, I stumbled upon a lovely team picture, full of smiles. All wore the same t-shirt, including Bill, marked “Pillars 2017” on the front and “Proud member of an epic team“ on the back. Now, that’s a cool teambuilding gift, I thought, well done, Bill… He quickly corrected my mistake. Bill didn’t order the t-shirts. His team did. As a surprise for him, with gratitude for what he has helped the team accomplish: leadership on the shop floor. [Celine] What are some of the articles, videos, books… that have inspired you or that you feel are very close to what you do? · John Maxwell The 5 Levels of Leadership (this was reviewed with the 2nd and 3rd shift leads to learn about leadership). This article was originally published on my blog www.weneedsocial.com. With my gratitude to the epic Pillar team. A passion for modern leadership, corporate activism, engagement, social collaboration. Still learning.